Jul. 26, 2016—On June 30, John Tarpley, M.D., retired after 23 years of service at Vanderbilt University Medical Center (VUMC) and the Nashville VA Medical Center. The next day, he packed a suitcase, and on July 2 he boarded a Kenya-bound plane, a move that was absolutely no surprise to all who know him. Jun. 28, 2016—John and Valerie Longoria breathed a sigh of relief when the team lead by John C. Pope IV, M.D., professor of Urologic Surgery and Pediatrics, told them a minor procedure on their 8-month-old son Maverick had been successful, and they could soon take their son home to Oak Grove, Kentucky. But then, things quickly changed. May. 5, 2016—Mias Pretorius, MBChB, MSCI, associate professor of Anesthesiology and Medicine, has been named division chief of Cardiothoracic Anesthesiology. May. 5, 2016—Anesthesiology resident Loren Smith, M.D., Ph.D., recently received two national research awards: the Margaret Wood Resident Research Award, from the Association of University Anesthesiologists (AUA); and the 2016 Young Investigator Award, from the Society of Critical Care Anesthesiologists (SOCCA). Apr. 28, 2016—Edward Sherwood, M.D., Ph.D., Corneilius Vanderbilt Professor and vice chair for research in the Department of Anesthesiology and professor of Pathology, Microbiology and Immunology, has been selected to join the Scientific Advisory Board of the Association of University Anesthesiologists (AUA). Apr. 21, 2016—Provocative questions, posed by three experts at Vanderbilt University Medical Center (VUMC), were among the highlights last Friday at TEDx Nashville 2016, an exposition of “ideas worth sharing” at Nashville’s War Memorial Auditorium. Apr. 8, 2016—An estimated 5 billion people — two-thirds of the world’s population — do not have access to surgery because of a lack of facilities, money and trained surgeons and anesthesiologists. Mar. 31, 2016—The Department of Anesthesiology is adding to its leadership structure.  Andrew Shaw, MBBS, has been named to the newly created role of executive vice chair of the department, and Mark Rice, M.D., has been named to the newly created role of associate vice-chair for clinical affairs. Mar. 3, 2016—The Vanderbilt Anesthesiology and Perioperative Informatics Research (VAPIR) Division has launched a novel system that connects clinicians in the Department of Anesthesiology to their patients’ outcomes. Mar. 3, 2016—Warren Sandberg, M.D., Ph.D., chair of Vanderbilt’s Department of Anesthesiology and professor of Biomedical Informatics and Surgery, has been elected president-elect of the Tennessee Society of Anesthesiologists. Feb. 18, 2016—Noted anesthesiologist, neuroscientist and statistician Emery Brown, M.D., Ph.D., of the Harvard-MIT Program in Health Sciences and Technology, discussed the mysteries of anesthesia during his recent Flexner Discovery Lecture.